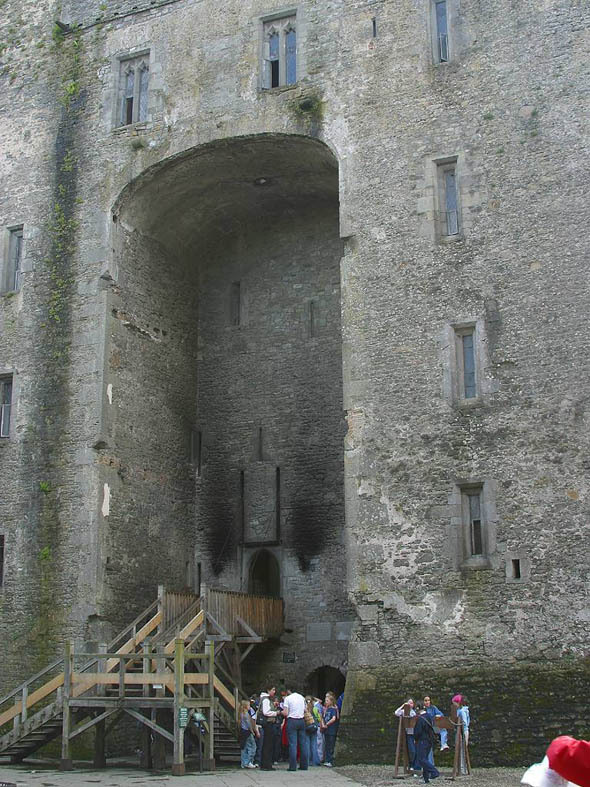 The present structure was completed by the MacNamara family around 1425 but 50 years later was in the hands of the O’Briens, the most powerful clan in Munster. In 1646, during the Irish Confederate Wars, Barnaby O’Brien, the Earl of Thomond, allowed a large English Parliamentary garrison to land in Bunratty. The castle was besieged and taken by the forces of Confederate Ireland under Donagh MacCarthy, Viscount Muskerry. 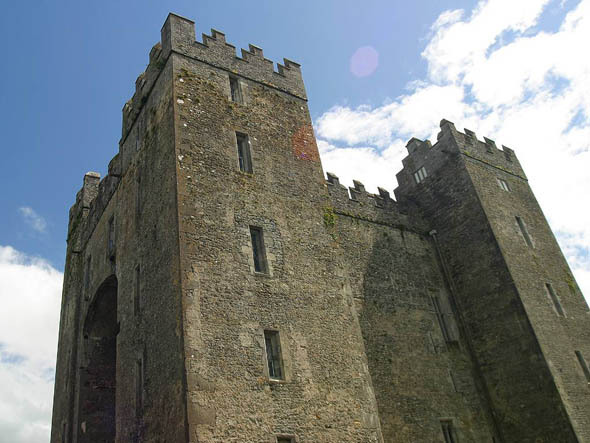 Bunratty Castle is now a very popular tourist attraction. The interior has been furnished with tapestries and artifacts from various eras in the castle’s history. Some of the sights include the ‘great hall’, dungeons and four towers with spiral stairwells. Medieval-style banquets are held twice every evening in the great hall.